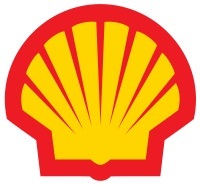 Home > Membership > Corporate Full > Shell Global Solutions International B.V. Shell was a founding member of CO-LaN in January 2001. Shell was represented initially by Hans PINGEN, then by Ray DICKINSON and nowadays by Richard BAUR. Shell is President of CO-LaN since March 8, 2007 (position began with Ray DICKINSON as the representative of Shell). Celeste COLANTONIO was leader of the UNIT Special Interest Group from 2003 till 2005. Marcel van MAASDAM then Richard BAUR took the position from Celeste till Krishna Murthy PENUKONDA (as AVEVA) was designated as leader by CO-LaN Management Board. February 2004: Celeste COLANTONIO and Hans PINGEN attended the 1st CAPE-OPEN European Conference in Skopau, Germany. Celeste COLANTONIO reported there on the UNIT Special Interest Group activities within year 2003. June 2008: Ray DICKINSON gave a keynote lecture at ESCAPE 18, Lyon, France on the status of CAPE-OPEN and CO-LaN. Shell has hosted the CAPE-OPEN 2015 Annual Meeting at its facilities in Amsterdam. Linde Engineering is a leading technology partner for plant engineering and construction worldwide.